Functional MRI in Clinical Research and Practice: Measurement, Design and Analysis will give clinical investigators an intensive and thorough introduction to the issues associated with using structural and functional MRI in proposing, executing and reporting clinical research studies. Topics will include introductions to the basic principles of MRI measurement, techniques for stimulus presentation and response recording in high magnetic fields, basic statistical methods, individual subject experimental design and analysis techniques, group design and analysis techniques, clinical study design principles and guidelines for proposing and reporting clinical neuroimaging studies. Emphasis will be given to the current and potential future use of functional MRI in clinical practice, including its growing role in neurology, psychiatry and pre-surgical planning. The first day of the course will will focus on the conceptual background related to the use of functional neuroimaging in clinical research and practice. 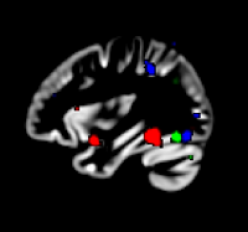 The second day of the course will focus on techniques for analysis and visualization of fMRI data using a combination of demonstrations and in-class exercises for students bringing laptops with MATLAB installed. Instructions for laptop requirements can be found here. The fee for the program is $600. Reduced rates of $500 for post-doctoral fellows and $400 for undergraduate, graduate or medical students are available. Payment can be made on-line here. The course is sponsored by the Temple Eating Disorder Program and the Temple Neuroimaging Research Group. It will be held at Temple University in the Howard Gittis Student Center at 1755 North 13th Street, Philadelphia, PA 19122. The entrance to the building is on corner of Montgomery and 13th. Parking is available nearby. The course instructors are Thomas Zeffiro, Darren Gitelman and Feroze Mohamed. Why measure performance in clinical studies?